A GRIP ON SPORTS • Where were we? Oh yes, watching Tiger Woods compete at the Masters. And wondering if there will ever be a more iconic color to pair with a green jacket than a red shirt. Read on. • Personal commitments kept me from watching the Masters finish live yesterday (as well the Game of Thrones season premiere, so don’t spoil it) and I haven’t had time to sit down and watch. Thanks to the weather, I was able to see the first few holes before I headed out into the Portland mist yesterday, but missed all the traditional back-nine shenanigans. But I do know the bottom line. 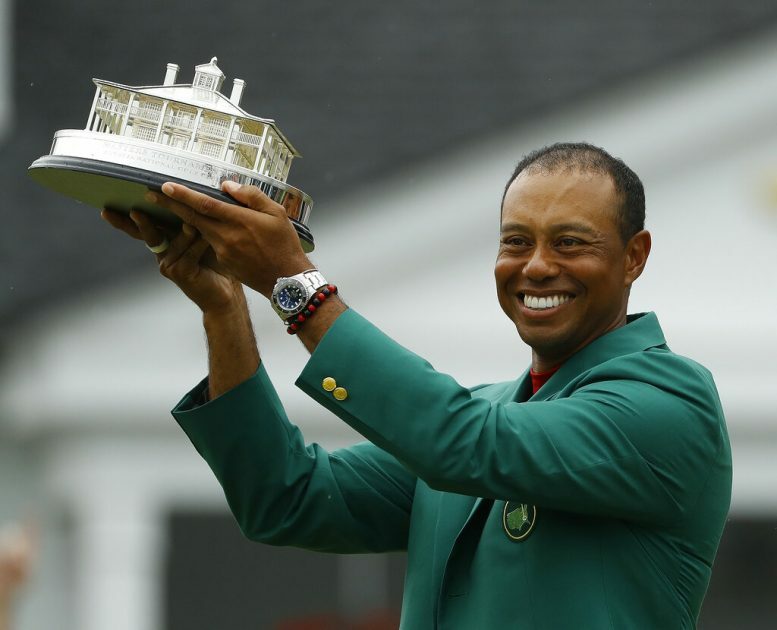 A 43-year-old Tiger Woods came from behind starting on a Sunday in a major for the first time and won his 15th grand slam event. For a certain generation of golf fans, including one in my family, it was a moment of pure joy. One they will remember forever. And a moment we understand perfectly. While driving up U.S. Highway 395 late last night, satellite radio whispering a replay of Sunday’s round, my mind wandered back to an April day in 1986. Being in my 20s still, I was out playing softball with my buddies. So I missed the Masters’ final round. But thank goodness for the then somewhat-new video cassette recorder. As Jack Nicklaus, who seemed “ancient” at 46, made his last great run down Augusta’s back nine, it whirred away, saving another unforgettable Sunday. Later, as I sat back and watched Jack win the last of his 18 majors, there were times I almost wept with joy. The hero of my youth defied time to show, once again, he was the greatest ever. Now my son has been able to have the same experience. My tape wore out over the years – I would take it out sometimes in the middle of winter and just watch it, feeling warm inside and out – and I wasn’t smart enough to transfer it to DVD before it broke, but the memories will stay with me forever. The birdies. The roars. The hugs. The unexpected victory. Tiger emulated it yesterday, even down to hugging his son after winning. It’s a moment of joy wrapped in history and encased in tradition. His fall-from-grace-to-back-on-top tale, a story either from Greek mythology or Shakespearean drama, is now complete. 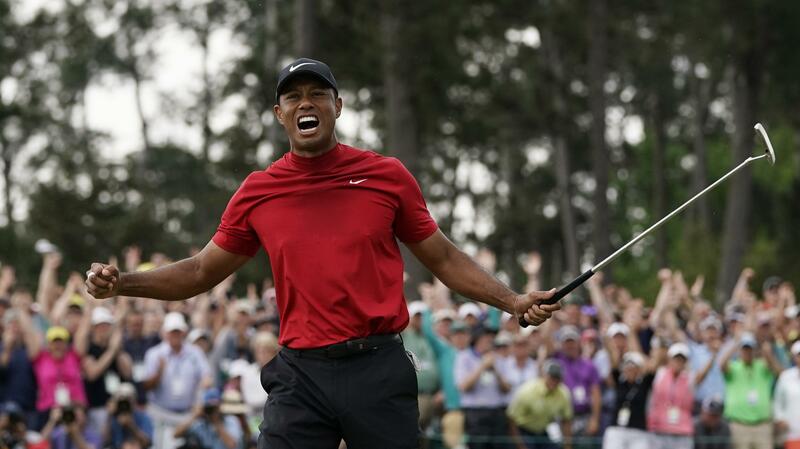 Tiger Woods is once again atop the golfing world. He donned another green jacket yesterday, pulling it over his trademark red shirt. And an entire generation learned the meaning of redemption. WSU: The baseball team will not go winless in this conference season. The Cougars defeated Oregon 8-7 at home yesterday. … Elsewhere in the Pac-12, the recent basketball hires go against the grain for the conference in one way. … There is football news from Colorado. Gonzaga: Josh Perkins will play in the Portsmouth Invitational. Jim Meehan has more in this story about the pro tryout camp. … The baseball team completed a weekend sweep at Portland. Whitworth: The Pirates are the NWC baseball champions. NIC: RayQuan Evans will play basketball next season at Florida State. Chiefs: After dispatching Everett over the weekend, Spokane is prepping for a WHL Western Conference showdown with Vancouver. The series begins Friday north of the border. Kevin Dudley has a preview. Mariners: Good pitching has a tendency of shutting down good hitting. There is only about 150 years of history to back that up. And the last couple games the M’s had with the Astros. 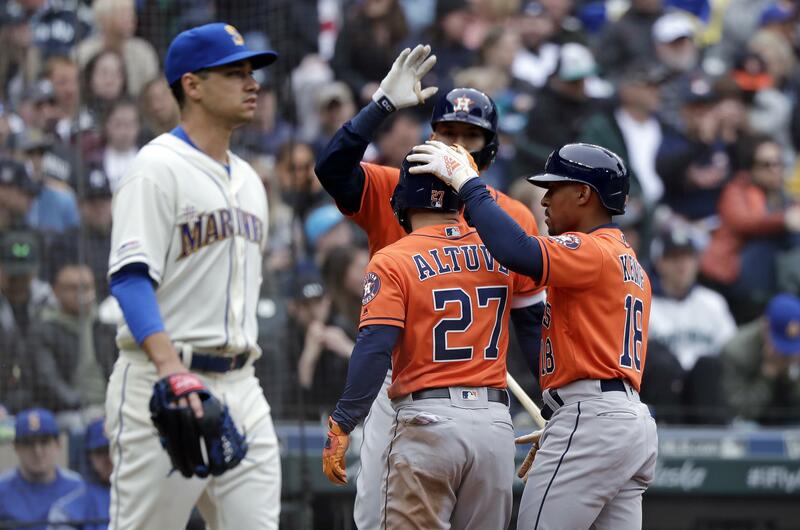 Gerrit Cole and the Houston bullpen combined to stop the Seattle offense in a 3-2 Astro win. … Do you have questions and need answers? If one is who will fill Wade LeBlanc's rotation spot, we can answer it. … Gene Warnick has the Out of Right Field summary. Seahawks: Russell Wilson has given the Hawks a deadline for an extension. It is today. Will it get done? … There are rumors out there about a Frank Clark trade. It might be connected to the Wilson talks. Published: April 15, 2019, 7:57 a.m.